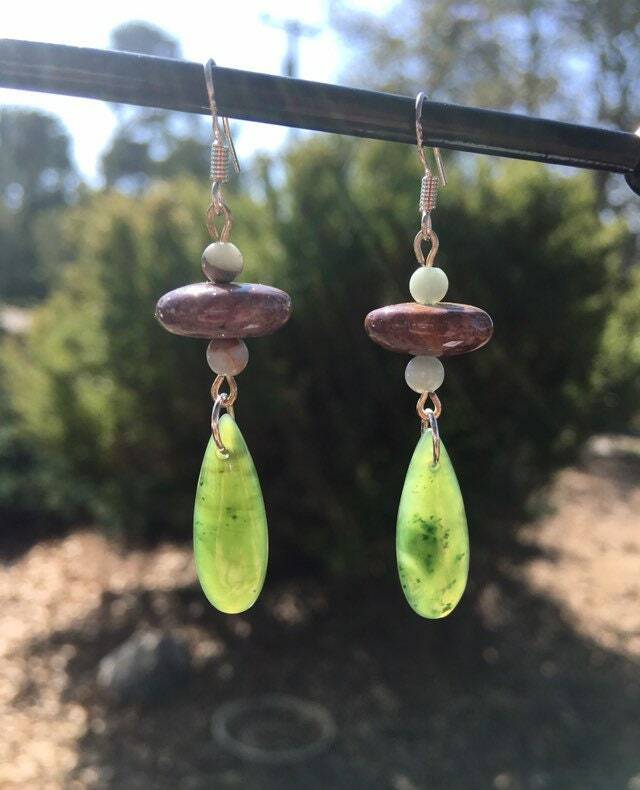 I came across these gorgeous British Columbia Jade teardrops. 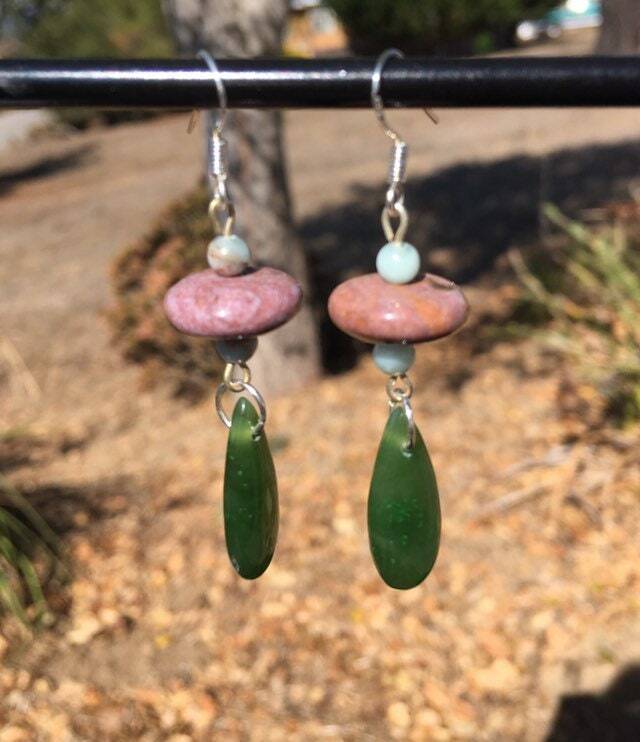 I have paired them with jasper and amazonite. The colors and shapes go wonderfully together.